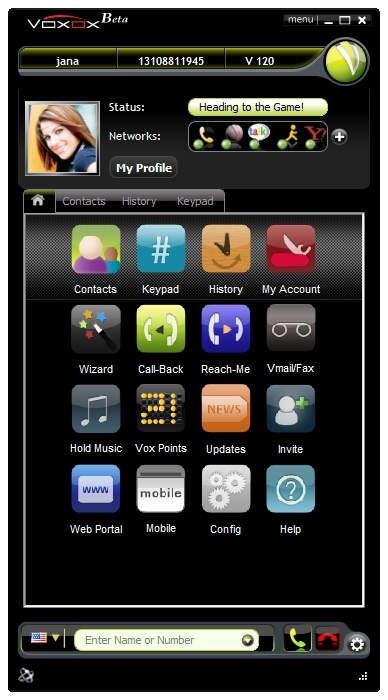 VoxOx is a new unified communications client launched by San Diego based startup TelCentris. Think of it as Skype on steroids since it not only support VoIP, IM, and video conferencing, but it also supports social media, such as Facebook, SMS, fax, e-mail, and content sharing all in one unified desktop application. VoxOx creates a "meta address book" of contacts from all of a user's disparate communications networks into a single user interface, accessible from any device. To ramp up they are providing a free phone number, along with two initial hours of free talk time. TelCentris' CEO Bryan Hertz is making their API open source in hopes of duplication what Skype has done with Skype Extras and their developer community. Voicemail and interactive voice response "personal assistant"
Call forwarding and "one-number-follow-me service"
It currently supports Windows and Mac, with Linux support coming soon. One interesting feature is Call-Back, which is similar to Jajah and a feature lacking in Skype. feature is what sets Call-Back allows you to initiate a call-back via the Web or via SMS. Under the Web callback tab, you enter the phone number for are located as well as the number you are trying to call and VoxOx will call you from a local number. Skype has a lot of momentum, and there have been a lot of "pretenders" to the Skype throne. 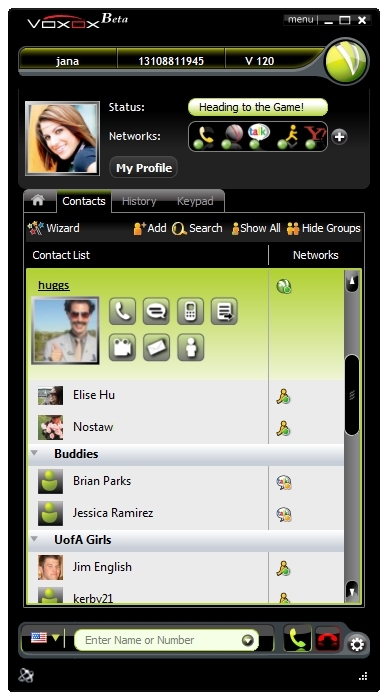 However, VoxOx has a lot of "eye candy" with an iPhone skin which might attract users. It also has an interesting feature-set and the 120 free minutes might entice users to check it out. To download VoxOx, head here. VoxOx creates a \"meta address book\" of contacts from all of a user's disparate communications networks into a single user interface, accessible from any device. To ramp up they are providing a free phone number, along with two initial hours of free talk time. TelCentris' CEO Bryan Hertz is making their API open source in hopes of duplication what Skype has done with Skype Extras and their developer community. Voicemail and interactive voice response \"personal assistant\"
Call forwarding and \"one-number-follow-me service\"
Skype has a lot of momentum, and there have been a lot of \"pretenders\" to the Skype throne. However, VoxOx has a lot of \"eye candy\" with an iPhone skin which might attract users. It also has an interesting feature-set and the 120 free minutes might entice users to check it out.